Since opening in 2008 the Ibiza Rocks Hotel has quickly become one of the island’s hottest destinations, particularly amongst young clubbers who appreciate the hotel’s vibrant vibe. 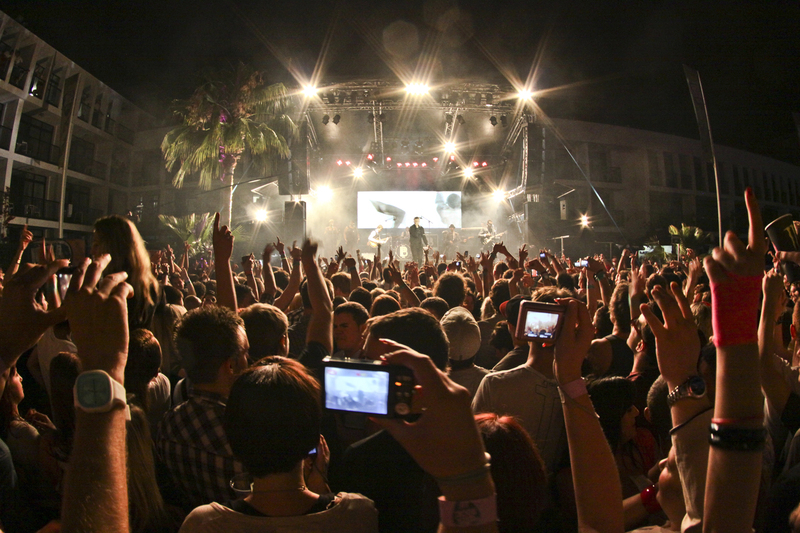 Challenging Ibiza’s powerful dance scene by introducing new sounds to the island from the likes of Chase and Status and Jake Bugg, the Ibiza Rocks Hotel hosts a number of incredible live shows during the summer season, ensuring that all musical genres are covered. From house, techno and electronic through to rock, urban and folk, every Wednesday night, Ibiza Rock’s famous stage transforms into the ultimate party destination, allowing visitors and hotel guests to party under the Balearic stars in style.